Estonian sea area stretches as far North as 60 degrees latitude. Even for a seasoned blue-water sailor this is very close to the North Pole and sounds rather extreme. Let´s compare: the average air temperature at 60° N on our planet is -15° C in January; in Estonia it is -6° C, and in July the respective figures are 13° C and 17° C. As you can see this is an area comparable to well known sailing grounds located much farther South. This book was published in order to convince you that, despite the high latitude. Estonian waters can offer at least five months of good sailing conditions every year, and in the middle of summer a long and refreshing swim in our brackish seawater. 176 pages. Dimensions: 240 x 165 mm. English language. Book Chart 1 published by Estonian Maritime Administration contains chart symbols, abbreviations and concepts used in Estonian as well as in international nautical charts (INT-charts). Book is colour printed and contains 95 pages and written in both estonian and english language. Book published by Estonian Maritime Administration is helpful solving questions of sea law. In estonian and english, 367 pages. Sailing directions, covering the harbours, coasts and waters of Estonia, provides information that cannot be shown graphically on nautical charts and is not readily available elsewhere. This edition is corrected through the date of publication shown in the preface of the book. Current changes are published in the monthly Notice to Mariners. Book includes detailed coastal and port approach information, schemes, aerophotos, coastal service information, weather anf hydrology synopsis. The book has 173 pages and hard and sturdy cover. Written in estonian and english languge. Marine dictionary includes over 30 000 keywords, in addition list of terms and lots of abbreviation used in navigation. Raamatu Saaremaa Merispordi Selts. 125 aastat purjesporti Kuressaares läbi aegade ja mälestuste autoriks on ajaloomagistrant Piret Hiie. Raamatu sisu algab 1884. aastaga, mil Kuressaare lahel leidis aset esimene ametlikult teadaolev purjeregatt.Värvika pildimaterjali kőrval moodustavad raamatu ilmekaima ja huvitavaima osa purjespordiga seotud isikutelt kogutud mälestused, mis on pőimitud pőhiteksti vahele. Book for the boat owners, which includes information about ports, Estonian charts and radio contacts. Book is with hard back and includes 149 pages. Charts of Finland can be used by both professional and recreational mariners. It provides the user with the information on the nature of the coast and sea bed, water depths, main aids to navigation and landmarks, port approaches, marine hazards etc. Folio E: The Quark. Scale 1:50.000, special charts on back sides of sheets 1:25.000 or 1:20.000. Also included a sheets in scale 1:250.000 for the passage Vaasa to Umeĺ, Sweden. Mercator projection, WGS 84 coordinates. 50, 20, 10, 5 and 3 meter depth curves. Inner archipelago yachting lanes, guest harbours and other useful information included. Size 59,5 cm x 42 cm, weight 1,3 kg. 62 pages, ring bound, PVC protective wallet. Published: 2008. Charts of Estonia compiled by Estonian Maritime Administration can be used by both professional and recreational mariners. It provides the user with the information on the nature of the coast and sea bed, water depths, main aids to navigation and landmarks, port approaches, marine hazards etc. Vol. 1 - Finnish Gulf from Narva to Paldiski. Charts of Estonia compiled by Estonian Maritime Administration can be used by both professional and recreational mariners. It provides the user with the information on the nature of the coast and sea bed, water depths, main aids to navigation and landmarks, port approaches, marine hazards etc. Vol.2 - Väinameri from Osmussaar to Saaremaa. 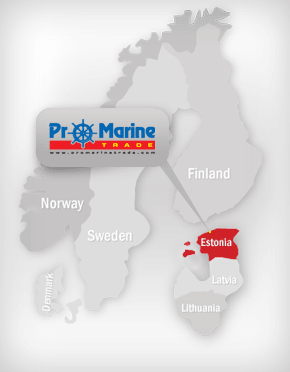 Charts of Estonia compiled by Estonian Maritime Administration can be used by both professional and recreational mariners. It provides the user with the information on the nature of the coast and sea bed, water depths, main aids to navigation and landmarks, port approaches, marine hazards etc. Vol.3 - from Saaremaa to Ruhnu. Chart compiled by Estonian Maritime Administration. It provides the user with the information on the nature of the coast and sea bed, water depths, main aids to navigation and landmarks, port approaches, marine hazards etc. Scale 1 : 50 000, Size: 747.2 x 982.4 mm. Narva Bay. Chart compiled by Estonian Maritime Administration. It provides the user with the information on the nature of the coast and sea bed, water depths, main aids to navigation and landmarks, port approaches, marine hazards etc. Scale 1 : 50 000, Size: 737.6 x 983.2 mm. Malyy-Tyuters Island to Toila. Chart compiled by Estonian Maritime Administration. It provides the user with the information on the nature of the coast and sea bed, water depths, main aids to navigation and landmarks, port approaches, marine hazards etc. Scale 1 : 50 000, Size: 728.0 x 924.0 mm. Kunda Bay to Malyy-Tyuters Island. Chart compiled by Estonian Maritime Administration. It provides the user with the information on the nature of the coast and sea bed, water depths, main aids to navigation and landmarks, port approaches, marine hazards etc. Scale 1 : 50 000, Size: 957.9 x 663.0 mm. Bay of Hara to Islet Vaindloo. Chart compiled by Estonian Maritime Administration. It provides the user with the information on the nature of the coast and sea bed, water depths, main aids to navigation and landmarks, port approaches, marine hazards etc. Scale 1 : 50 000, Size: 986.7 x 679.6 mm. Approaches to ports of Tallinn and Muuga. Chart compiled by Estonian Maritime Administration. It provides the user with the information on the nature of the coast and sea bed, water depths, main aids to navigation and landmarks, port approaches, marine hazards etc. Scale 1 : 50 000, Size: 967.5 x 656.9 mm. Keibu Bay to Suurupi Peninsula. Chart compiled by Estonian Maritime Administration. It provides the user with the information on the nature of the coast and sea bed, water depths, main aids to navigation and landmarks, port approaches, marine hazards etc. Scale 1 : 50 000, Size: 948.3 x 672.6 mm. Laine Shoal to Keibu Bay. Chart compiled by Estonian Maritime Administration. It provides the user with the information on the nature of the coast and sea bed, water depths, main aids to navigation and landmarks, port approaches, marine hazards etc. Scale 1 : 50 000, Size: 977.1 x 686.0 mm. Rohuküla-Heltermaa-Vormsi. Chart compiled by Estonian Maritime Administration. It provides the user with the information on the nature of the coast and sea bed, water depths, main aids to navigation and landmarks, port approaches, marine hazards etc. Scale 1 : 50 000, Size: 957.9 x 688.2 mm. Peninsula Kőpu to Harbour Suursadam.